Archbishop Richard is the Anglican Archbishop of Armagh and Primates of the Church of Ireland; Archbishop Martin is the Roman Catholic Archbishop of Armagh and leader of the Catholic Church in the country. They say that the Good Friday Agreement “sought to address contentious political problems in the context of decades of violence, divided communities and immense suffering and death on our streets. As such it was a complex and, in places, controversial document. They add: “We thank God for all that has been achieved in shaping a peaceful and shared future over the past twenty years. We acknowledge the efforts of the international community who not only invested significantly in the process which led to the Agreement, but who have remained alongside us as our partners for peace. Above all we thank God for the generation of young people who are growing up without the sounds of bomb or bullet on a daily basis; for the livelihoods and businesses which have not been destroyed; for the families and neighbourhoods who have been spared the heartbreaking pain and trauma of death or serious injury. “No single political agreement can be expected, of itself, to solve or heal the deep wounds in any society. The Good Friday Agreement offered a framework for a new beginning, outlining the interlocking structures and safeguards under which the relationships required for healthy democracy could develop and be sustained. Northern Ireland still presents many problems and opportunities, but these are problems and opportunities for all of us – and not simply politicians – to solve and grasp. Some say we have failed in this task; others that we have only just begun. 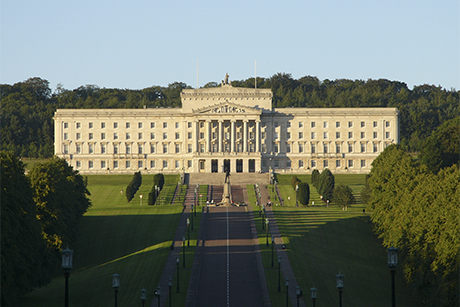 The agreement saw an end to direct rule of Northern from Westminster – the seat of the British government; and the creation of a power-sharing executive based at Stormont – the seat of the Northern Irish parliament. The constitutional arrangement in the agreement requires loyalist and republic parties to form a power-sharing executive. This is built-in to the democratic model to ensure that no community feels threatened by the exercise of power by the other. But the Assembly has been suspended since January 2017 because of a dispute between the parties which has prevented an executive being formed. Despite two elections, the impasse continues and decision-making has returned to Westminster. “In the Christian tradition we share, Good Friday is a time of returning to God and of ‘calling out’ anything which prevents us from living truly as disciples of Jesus Christ,” the two archbishops say. “This can be a painful exercise. But we are an Easter people. We are always beginning. We are always making a fresh start. It was in the light of the Resurrection that St Paul urged us to be ‘ambassadors’ of reconciliation (2 Corinthians 5.20).